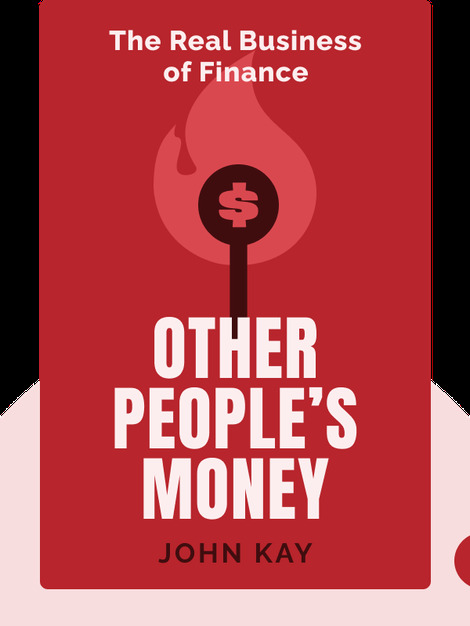 Other People’s Money (2015) offers a detailed breakdown of the financial sector: how it functions, the effect it has on economies and what its purpose should ideally be – as opposed to what its current purpose is. Find out why the international financial sector has become a ruthless mechanism made up of rotten parts, and discover how these parts can be eliminated and, eventually, replaced. 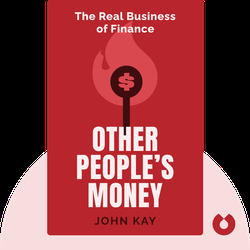 John Kay is an economics professor and has been a fellow of St. John’s College at the University of Oxford since 1970. He is also a regular contributor to the Financial Times and the author of the books Obliquity and The Long and Short of It.